An independent company based in Berlin, Germany, Stage Tec Entwicklungsgesellschaft für professionelle Audiotechnik GmbH specializes in developing and manufacturing digital audio equipment. Its flagship products include the NEXUS and NEXUS STAR digital routers as well as the professional mixing consoles AVATUS, AURUS platinum, CRESCENDO platinum, AURATUS and ON AIR flex. Stage Tec was established in 1993 by 13 engineers, most of whom still work for the company. Stage Tec is headed by Dr. Helmut Jahne, who was one of the founding members of the team and who continues to drive the technological supremacy of the product lines. 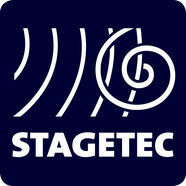 Today, Stage Tec offers a comprehensive range of products ranging from the smallest to the largest of mixing consoles.